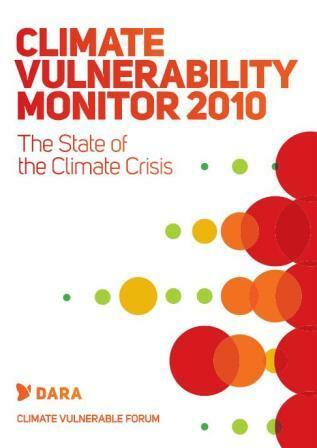 The number of deaths due to climate change will reach one million a year by 2030—up from 350,000 in 2010—if efforts to limit global increases in temperature are not speeded up, warns a new report titled Climate Vulnerability Monitor 2010: The State of the Climate Crisis. Children in sub-Saharan Africa and South Asia will make up close to 80 percent of the casualties. Their deaths, from malnutrition, diarrheal disease and malaria, are entirely preventable with better distribution of mosquito nets, rehydration solutions, and basic dietary and vitamin supplements, says the report, which has been produced jointly by Development Assistance Research Associates (DARA), a humanitarian research organization, and the Climate Vulnerable Forum, a group of countries vulnerable to climate change, including the Maldives, Bangladesh and Barbados. The report also states that close to 10 million people are estimated to be living under threat from climate driven desertification by 2030, up from 2.5 million today. Around US$150 billion in losses to today’s economy are estimated to be caused by climate change.